Jamaica Stock Exchange, Junior Market listed company, CAC 2000 Limited has announced plans to go to the capital market to raise JA$200 Million by way of the issuance of 200 million 9.5% Variable Rate Cumulative Redeemable Preference Shares at a value of JA$1 each. The offer, outlined in a prospectus published on the Jamaica Stock Exchange website, is arranged by Victoria Mutual Wealth Management, will open on March 16th and is expected to close on March 23rd 2018. The proceeds of the offer will be used to refinance existing debt and provide additional working capital, allowing the company to take advantage of new business opportunities. 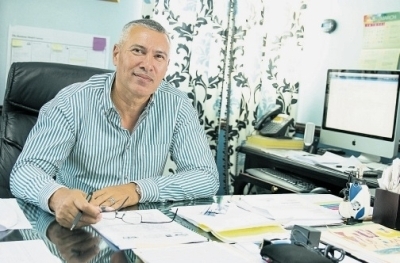 In his accompanying letter to prospective investors, Chairman and CEO, Steven Marston indicated that the company has a healthy open job portfolio and that they have worked with another listed company to provide a commercial rental deal for an unnamed large BPO operation. According to information contained in the prospectus, in 2017 CAC 2000 revenues increased by 19 per cent over 2016 and net profit after taxation increased from JA$10.5 million in 2016 to JA$100.7 million in 2017. The company’s earnings per share improved to 78 cents in 2017 up from 8 cents in 2016.
next JMMB Group Preference Share Offer Raises Over J$9B Tripling Initial Target Of J$3B.